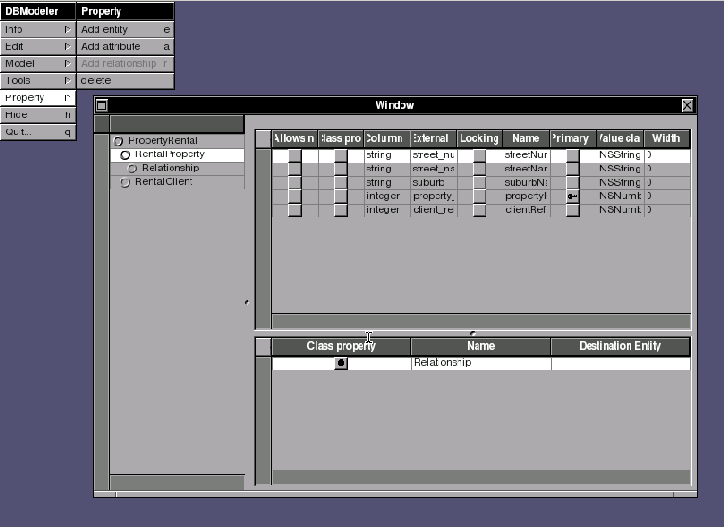 DBModeler.app is based loosely on EOModeller.app and is used to create EOModels - definitions of mappings between the tables, columns and rows of a relational database to objects within a GNUstep program that uses GDL2 (GNUstep's EOF implementation). GDL2 contains DBModeler.app in CVS. It is currently functional for basic EOModel creation, and new features are still being added. This page was last modified 16:45, 1 October 2006.